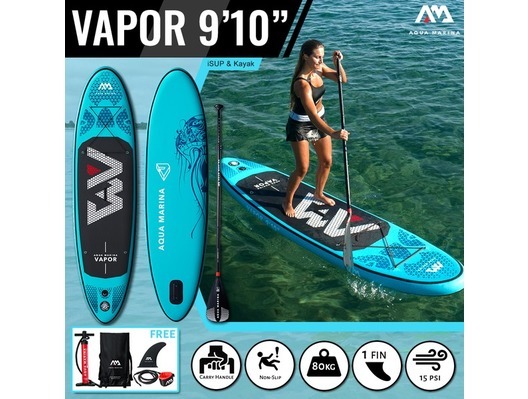 The exciting new upgraded Aqua Marina Vapor paddle board SUP is a great all-rounder board for beginners and more experienced paddle boarders and includes the paddle board, fin, pump, leash kit and magic backpack, all for this great price. 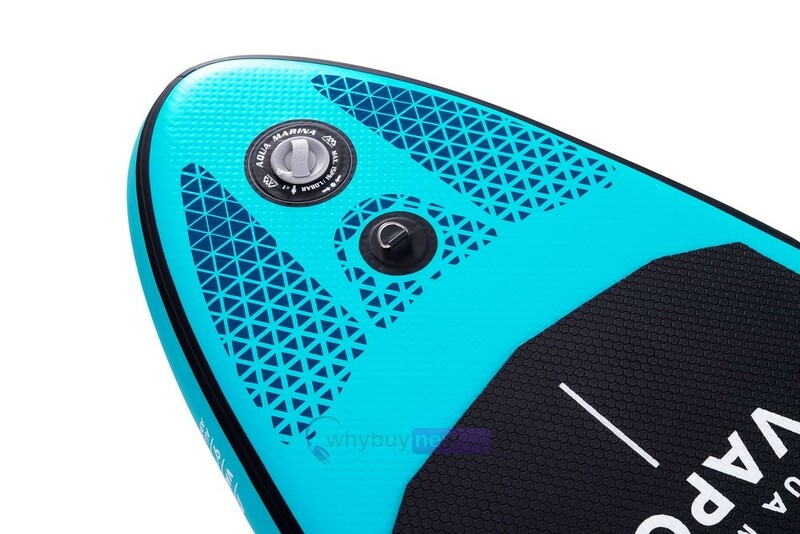 The new Vapor iSUP board combines style and design: A full deck and base of quality printing and rail design for superior optics, along with grooved honeycomb foot pad for ultimate grip and comfort for riders. Durability and Manoeuvrability: The Vapor constructed with lightweight drop stitch technology, which makes the board more durable and reliable. 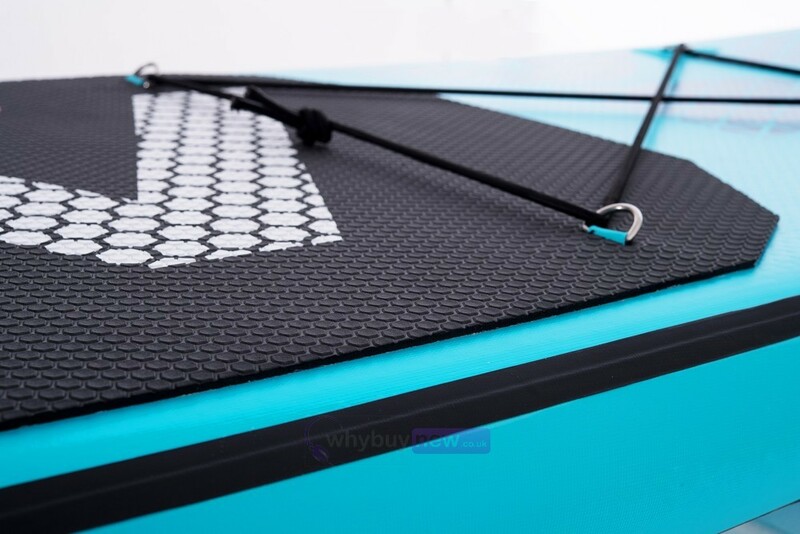 The removable slide in central fin is for increased manoeuvrability whilst on the water. 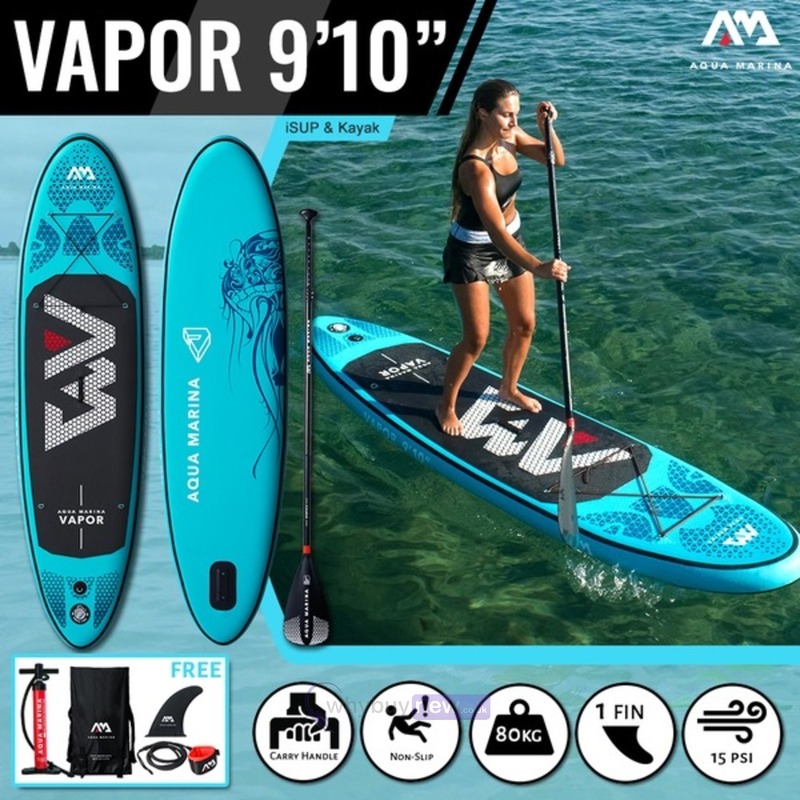 Includes all youll need to start riding: This great value set includes Aqua Marinas own double action pump for fast & easy Inflation, lightweight 3-piece adjustable aluminium paddle, safety leash and large removable centre fin + a Magic Backpack to carry your board to your next adventure. 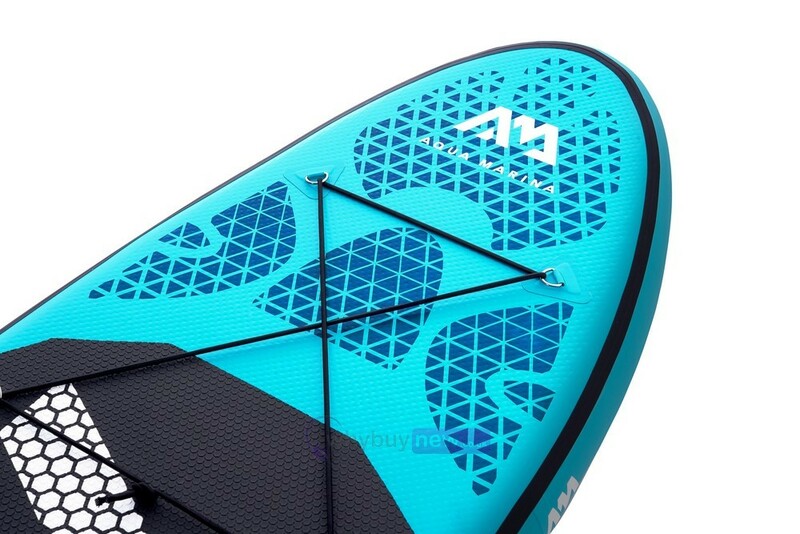 Aqua Marina Sup Vapor inflatable stand-up paddle board (model no.BT-88882, 330 x 75 x 10 max) Paddler weight: 100 kg.115 kg, colour: blue/black. Extra fast for its length, stable with great tracking, optimum air pressure in all conditions, up to 15 psi / 1.03 bar, very high-quality workmanship for great fun on the water! Key features:Durable 10 cm double-wall drop stitch core material. Sculpted balance flow curves board design. EVA deck:Honeycomb groove, heat embossed, maximum traction and durability. Stainless steel D-ring on tail for safety leash. Elastic bungee cords for cargo. Extra D-rings to attach the high-back kayak seat. Optimum air pressure in all conditions, up to 15 psi.